A sustained choral opening bursts into a spirited dance treatment of this popular Jewish folksong. 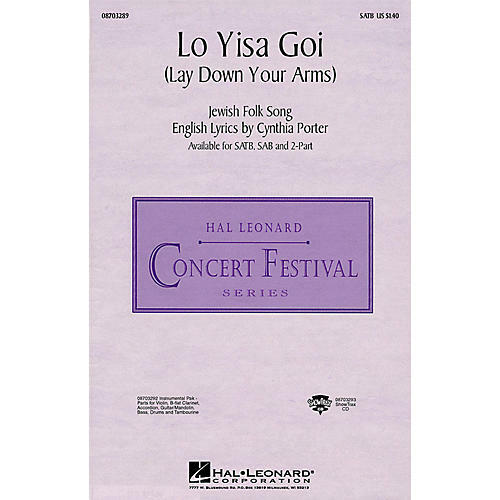 Featuring a unique klezmer accompaniment, this setting is ideal for many choral programs.Available separately: SATB, SAB, 2-Part, Instrumental Pak (violin, clarinet, accordion, bass, drums, mandolin/guitar), and ShowTrax CD. Performance Time: Approx. 3:00.